The new Trek Madone 2016. On the eve of the world's greatest cycling event, Trek is releasing an all-new Madone, a bike they are unabashedly calling the "Ultimate Race Bike" exclusively to Trek retailers. The latest generation of one of the world's most popular race bike platforms brings along with it a completely rethought road bike ideal. Unburdened by convention, Trek engineers chased a new vision - a bike that would not only set a new standard in aerodynamic design but would ride unlike any previous aero offering. The result is the all-new Madone, a new bike that surpasses all previous achievements in aerodynamic design, ride quality, and is enhanced through a collection of integrated technology adapted from the most hallowed of Trek's speed design breakthroughs. We're used to seeing new aero bikes coming out these days. New shapes, strange profiles, proprietary tech... 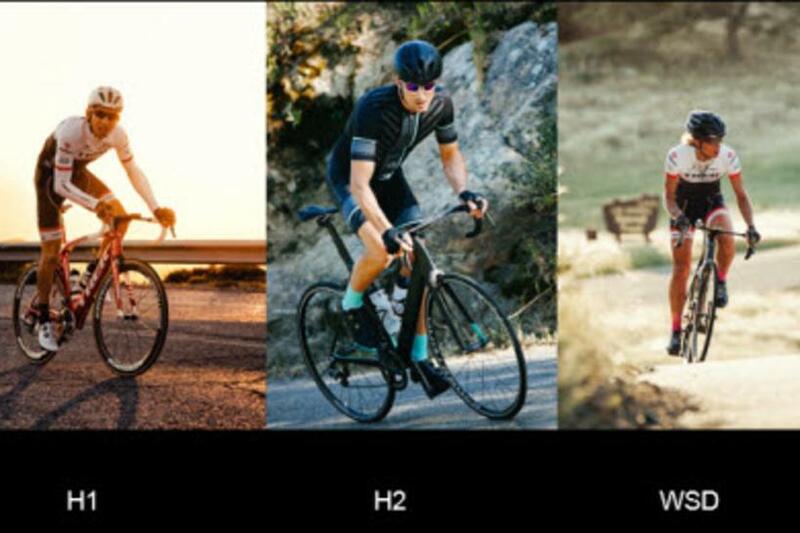 The new Madone has all of these. There are currently just a handful of these next level race machines in the UK and we are fortunate to have one at our Canary Wharf store. Our mechanics are building it right now and we'll post some photos and comments about it tomorrow. In the meantime read on for more about what to expect from the new Madone. You can see more on Trek's site here. For the new Madone, Trek's design team developed all-new KVF (Kammtail Virtual Foil) tube shapes, taking the drag-minimizing truncated airfoil profiles to never-before-seen levels of aerodynamic performance and creating the most refined aero frame and fork designs ever. The virtual tail of the airfoil bends to respond to the angle of crosswinds, significantly reducing drag in the real world. 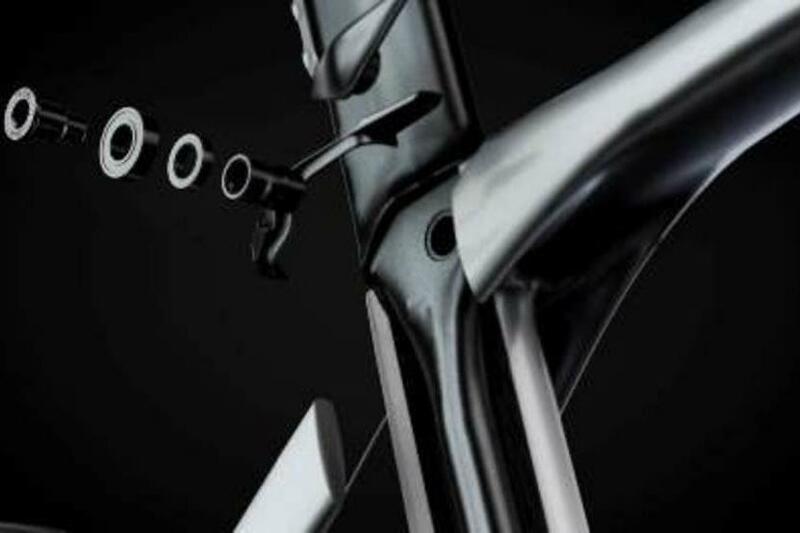 Madone's new KVF-optimized fork increases lateral stiffness for more precise handling along with unique molded carbon dropouts that reduce weight. Trek holds the words "Ultimate Race Bike" in great reverence and understands that such a title is not earned simply by being the most aerodynamic bike in the world. The ultimate race bike has to ride as its moniker would suggest. 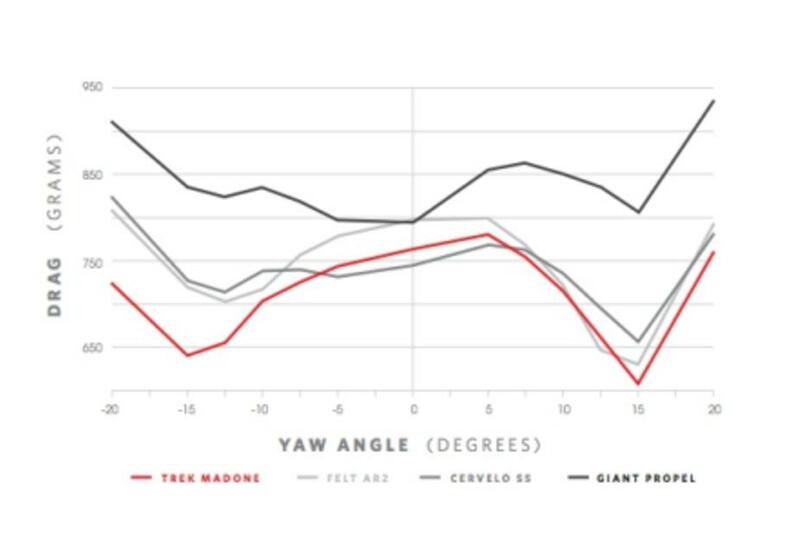 By pairing an all-new integrated tube-in-tube IsoSpeed decoupler, which allows the inside tube to move independently of the outer aero tube shape, with Madone's advanced aerodynamic design, Trek has created an aero bike that is 57.5% more vertically compliant than its nearest competitor. After leading the cycling industry for years in integrated and connected technologies from seat mast design to wireless communications, the new Madone is another leap towards a more seamless cycling experience. 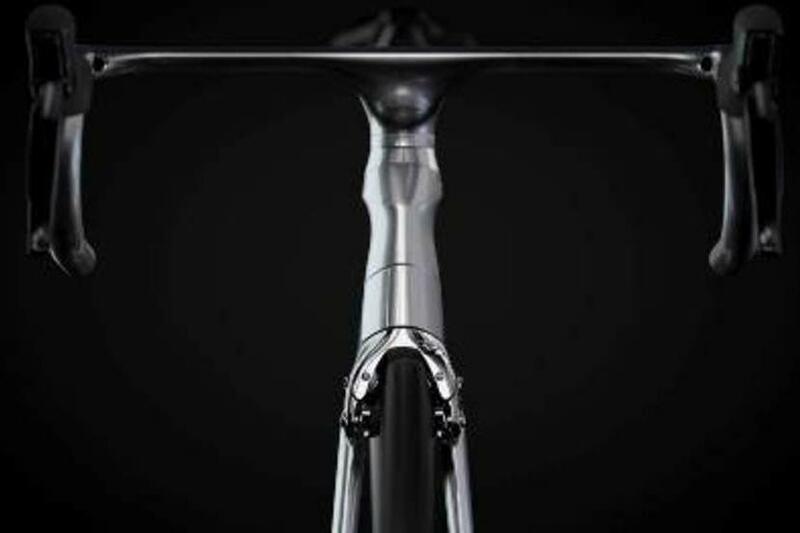 As much a visual journey as it is experiential, the depth to which Trek engineers dove into the design becomes evident at the first glance of Madone's leading edge, the proprietary one-piece Aero Bar/Stem Combo. Fully integrated into the frame, the Bar/Stem is the sleekest, lowest-drag profile ever developed and fully houses all of the cables that currently clutter the cockpit of most race bikes. 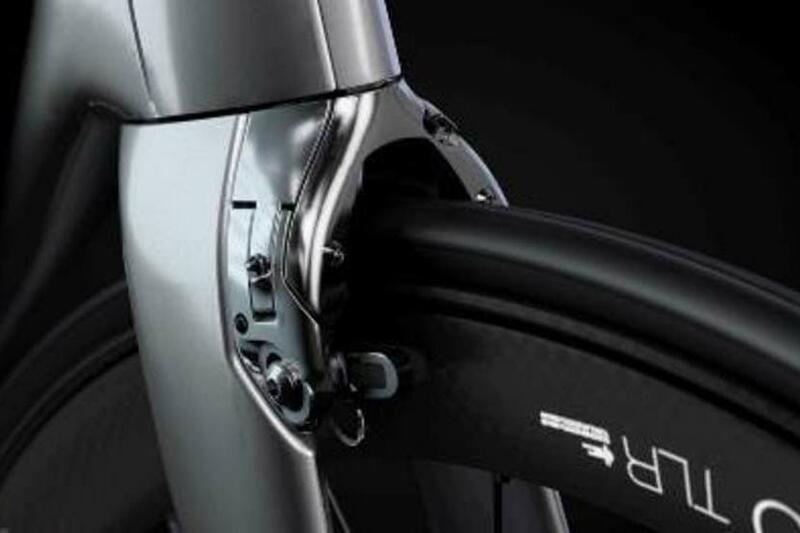 Madone's direct-mount brakes are fully integrated into the frame to cut drag, increase speed, save weight, and add to the bike's aggressive aesthetic. This aesthetic is provided by Madone's articulating Vector Wings that enclose the leading cables and front brake caliper in a protective shell. At the heart of the new Madone is Control Center - cycling's first frame-integrated electronic drivetrain battery port. 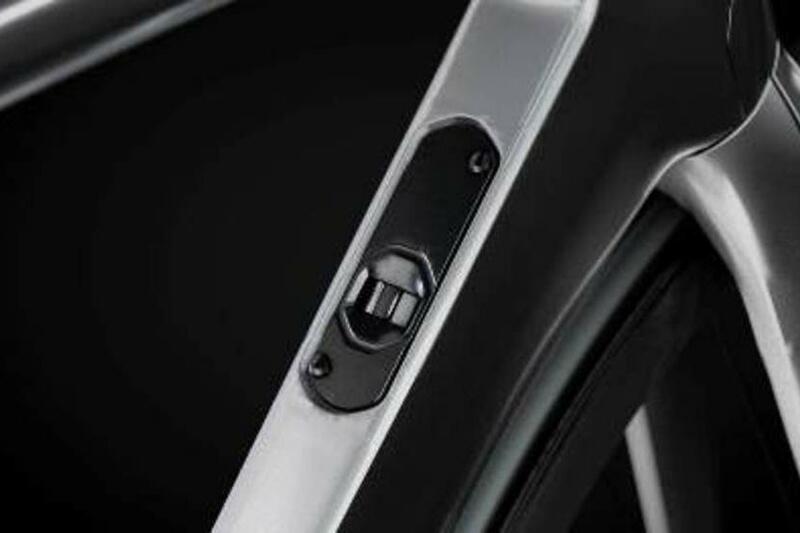 By designing the frame around emerging cycling technologies, Trek's engineers have provided greater rider accessibility and ease of use while simultaneously keeping Madone at the leading edge of aerodynamics. The all-new Madone is available in H1, Trek's lowest, most aggressive, and aerodynamic race fit; H2, which is the optimal fit to put most riders, including many of our professional athletes, in the right position for power and performance; as well as a Women's Specific Design (WSD) geometry engineered to fit more female riders from the start. Available Madone models include 9.2, 9.5, the flagship 9.9, 9.9 WSD, and Race Shop Limited. Both frame geometries will be available as framesets as well as a complete bikes. The new Madone will be made available for customisation through Project One in August.